The Auberge du Vieux-Port is the modern-day embodiment of 19th-century Montréal, with a delicate architectural balance between preservation and innovation. It is housed in two historic buildings: the Hector Lamontagne Heritage Building and the Victor-Hudon Building. In 1857, Victor Hudon constructed a building between St. Paul Street and rue de la Commune. Over the next 40 years, the building was used by an array of merchants, including a a flour trader and a dry goods merchant. In the early 1900s, the building was briefly used by a wholesaler of saddlery, then was dedicated to wholesale shoe trade until the early 1920s. From 1939 to 1968, the building was used by Potato Distributors Ltd. for wholesale and warehouse space. In the late 1960s it shifted focus once again, and was home to a Quebec furniture company until 2005. 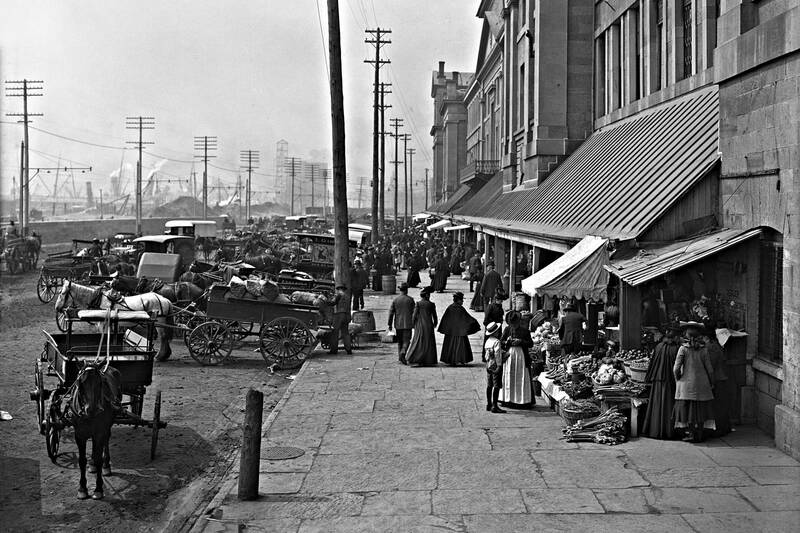 In 1882, leather merchant Simeon Delorme built a warehouse next door to the Victor Hudon Building. Over the next few decades, two businesses operated out of the warehouse: the Lamalice Brothers (wholesale merchants of fabrics and dry goods) and Narcisse Quintal et Fils (food wholesalers specializing in wine and liquor). In April 1907, a fire ravaged the interior of the warehouse, forcing the closure of the Quintal family business. In subsequent years, the property was used to store war materials for the Canadian army. In 1919, Hector Lamontagne, a leather goods merchant and manufacturer, acquired the property, using it as a warehouse and storefront. In the mid-1940s, they expanded their operations to the adjoining building. Their commercial and manufacturing activities continued for another 50 years, and the company closed down their operations in 1989. In 1994, the Antonopoulos Group acquires the Hector-Lamontagne building and in 1996 transforms it into Auberge du Vieux-Port with 27 rooms. In 2012, the Group purchases the Victor Hudon building and expands the hotel into 45 rooms. The rooms feature spectacular views, some looking out at Montréal’s magnificent Old Port, and others overlooking the cobblestones of historic St. Paul Street. We’re proud that the hotel has been awarded the Prix du Jury for the quality of its interior design in the Commerce Design Montréal competition.